I'm blogging about fashionable events, strategies and campaigns worldwide. PR Pret-a-Porter is about public relations, branding, marketing, e-stuff and what I recommend as a fine observer of the market. Britain has a special sense of Christmas. Article via Adage. Santa has gone digital and is now settled happily in a virtual grotto, tweeting with good girls and boys, and posting personalized messages on his very own YouTube channel. To facilitate communication with the new era Father Christmas, Telefonica’s 02 has created the hashtag #02santa. Followers can tweet him a message that they’d like read out, and Santa will create personal video clips in response. Twitter users can then alert their friends, followers and family to the existence of the personal message by tweeting or emailing a link to it on Santa’s YouTube channel. The campaign, created by pr agency Hope & Glory, is running for a week, and wireless provider 02 promises that any messages received by Dec. 15 will be delivered in time for Christmas. I’m gonna tweet Santa now just to thank him for the magic Christmas he gave me. Are you Twitter friendly ? 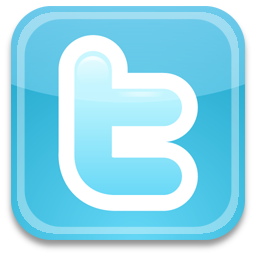 A hashtag, according to Twitter, is used to mark keywords or topics in a Tweet. It was created organically by Twitter users as a way to categorize messages. We use hashtags during our trips for the same reasons that you should consider using them for your business. Think about using hashtags for your company. Here are some reasons to backup your efforts. A hashtag is an amazingly simple way to search through all the posts that have been generated using a particular hashtag. We like to hashtag our posts, check-ins, and pictures that we’ve posted while traveling to retrace our steps and places visited. It’s a great way for an organization to stay tuned in to what people are saying about you, as long as their using the hashtag you’re tracking. The last few trips we’ve taken I’ve used either Twapper Keeper or Storify to save all the posts for future reference. If your diligent with your hashtag you can consistently go back to one of these sites to save your conversations. Helpful for those of you who are monitoring what people are saying about your brand and not using a paid service to do so. Yes, you can host Twitter chats using a hashtag. It’s simple really. Post your questions and conversations as you normally would, but include your hashtag in all those posts. Encourage your followers to save the hashtag search in their Twitter client. This will allow them to easily follow along and engage. Jumping into a Twitter chat is a great way to find and follow people who are talking about similar interests. As you engage and interact in these chats, you’ll also find that your follower count will begin to increase. A hashtag was created to categorize Tweets. To categorize something is to group it. You can find items when they’re grouped together. See how that works? Your brand, your product, your church series or even your event should be hashtagged. It allows others to search what people are saying about you, it allows you to track, and others to jump in the conversation. It all comes back full circle with the hashtag! Some might say the hashtag is being abused by people hashtagging random thoughts or full sentences. I don’t think there is anything wrong with it. The #sarcasm hashtag gets used quite a bit, even when it doesn’t need to be. The #IJustUsedAHashtagBecauseItsARandomThought Hashtag gets used quite a bit as well. It’s ok. Use them up, I don’t think those hashtags are going to be used for true searches anyway. Social media should be about the fun, so if you enjoy a 128 character hashtag’s, go for it. Just don’t expect us to try and read it! To own a hashtag is to own a conversation, to follow that conversation, engage in that conversation, and to keep that conversation. When you own and monitor a conversation, the discoveries you can make about your community are priceless.